Home STUDIO All jewelry designs Beads AN ELEPHANT NEVER FORGETS…..your sweetness and generosity!! 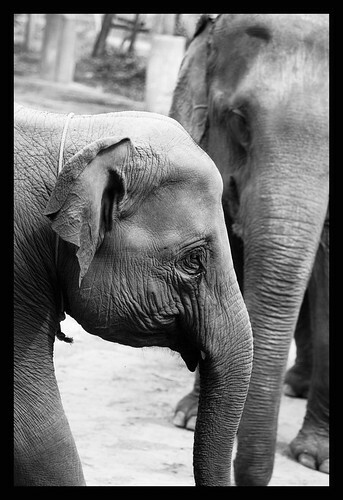 AN ELEPHANT NEVER FORGETS…..your sweetness and generosity!! Well my dear friends……what a great time we had last night at our first LIVE TRAVEL BEAD TRUNK Show……and the fun still continues through Wednesday night at the website and Ebay….The deals at Ebay are phenomanal!!! CLICK HERE TO CHECK OUT THOSE EBAY AUCTIONS THAT CLOSE TUESDAY AFTERNOON/EVENING!!! More sets are being listed all 3 evenings on the website but I’m not really sure what time…it will for sure be after 6:00 PM PST. I’m feverishly getting sets photographed now ……..oh yummy I have some doozies still waiting for the addicts and latecomers to the sale!! We had such awesome conversation at the LIVE GRAFFI-TV station. I hope those of you who attended, enjoyed seeing the studio and my dogs and I’m grateful for your putting up with my silliness. I was running on 2 hours of sleep and lots of coffee…could you tell?…lol! This first show was a grand experiment to see if the techinical end of things would hold up ….and it DID with over 300 visitors at the TV station total. Most were not registered in the chat, but I could see them on my counter!! It was such a great time meeting everyone!!! Thank you all so VERY much for your purchases and the fun time!! After Wednesday I will be able to determine how much I can put toward our elephant fostering. We have ONE YEAR for sure and I am hoping a THREE YEAR is possible depending on how the auctions and remainder of the show goes! 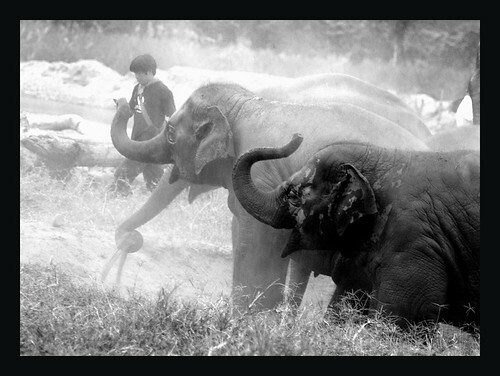 I will be so thrilled to contact Elephant Nature Foundation with that news!!! Possibly having the bead sets on a site where a “comment” under the set will “reserve” your beads and I will send an invoice after the show week is done. I almost did that this time but didn’t want to try too many new things at once this first go around. This would eliminate the rush to get checked out. More Ebay auctions in conjunction with the show to allow a fair chance for everyone at some of the primo sets. And a question…did you enjoy the audio descriptions or do you prefer text. My carpel tunnel and eyes LOVE the audio widgets but I need to do whats most convenient for the viewers for a show like this. Was everyone able to get the audio to work? I WILL BE POSTING THE SOLD SETS IN A SEPARATE “SOLD” CATEGORY ON THE WEBSITE WHEN THE SHOW IS OVER. I WOULD DO SO NOW BUT IT WOULD MAKE IT HARD TO KEEP TRACK OF THINGS ON THIS END UNTIL ALL THE SHIPPING LABELS HAVE BEEN PRINTED AND PACKAGES SENT OUT. Feel free to download your purchased bead photos off of my Flickr preview set HERE to refer to the inspiration photo for your own designs or to give with any “bead gifts” you purchased!! I would truly love to see the finished products!!! Ok kids……..back to photographing beads!!! I am on a roll (pardon the pun) and need to get them ready to post tonite!! Thank you one and all for the AWESOME TIME last nite. 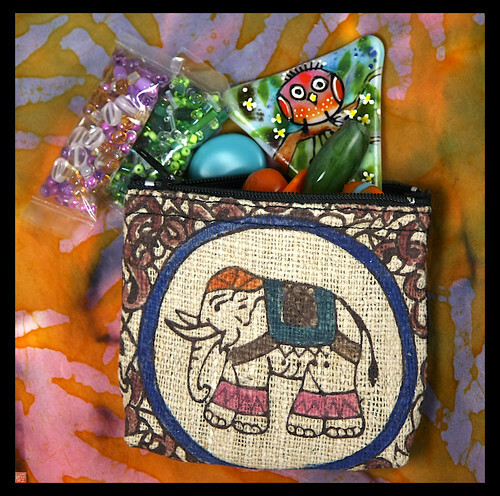 The one thing that makes me so thrilled besides the elephants getting some help, is that my treasured collection will be going to wonderful homes and in YOUR loving hands to create with. Believe me…these are HARD to part with regardless!!! I AM LEAVING YOU WITH ONE OF MY FAVORITE MAMA’S FAMILY OUTAKE VIDEOS..OMG IM LAUGHING SO HARD I’M CRYING NO MATTER HOW MANY TIMES I WATCH THIS. You sure can stir up excitement and I thought you stayed very calm all things considerd wow, you had a lot to keep up with. i never have been able to see the bottle of wine in the picture though, so funny,. I accidently sent some email to your other site, ck it later! HUGSSSS , Connie what time tonight new beads? That was one of the funniest videos ever , i was crying, i though i had seen all of Momma’s and Tim Conway, oh my goodness, the trunk thing, eeee heeee heeeeeee! ole siilly me your slideshow is on flickr!!!!!!!! Great idea to download the bead sets Sandra! I know they must be hard to part with like you said, they are so special with memories for all to you. I will certainly share anything i make with some images, if i don’t think anyone will laugh! i didn’t know how to download form the slide show so i stopped it and clicked on the whole sets and picked mine out one at a time , copied pasted into email to myself to print out later. the colors are so vivid and beautiful i don’t see how any are left. I think the audio is/ was wonderful Sandra! Your melodic voice matches your beautiful spirit! I really enjoyed “visiting” with you on Sunday!!! I had two windows open during your live show…one with your broadcast and the other for the jewelry. I agree with Connie…I loved hearing your voice as well as all you had to say while you were in your studio (and seeing the girls! ), so I kept the broadcast going while I was purchasing beads. That actually made it too difficult for me to hear the audio about the beads (aside from being too nervous to invest the time needed to hear the description before purchasing). I much prefer the text to be able to quickly peruse key words about the beads before purchase while still hearing you on the live broadcast. Thank you soooo much for posting the sold sets (and their descriptions?!) on your website once the show is over!!! I’m so excited about my new beads and the added bonus of being part of the elephant adoption! Thank you so much Connie and Lois for all your feedback AND your fun purchases AND for participating in the chat room too!! I really loved the interaction there and next time will schedule to have the chat and tour/tutorials the day before and a short visit 1/2 hour before the show. Then I can shut off the live feed for the shopping time. I noticed that as well that listening to audio descriptions was hard with the chat on. As long as you all were able to read the text inside the audio descriptions I may keep using IPADIO for the shows. Hand entering the bead descriptions vs. using the audio ones is the difference between taking 30-45 minutes to list a set of beads and 3-5 minutes (audio version)…..which in the long haul means I can list more beads as well as keeps the price of the sets down too. Ipadio is such a godsend for my eyes….. I have been experimenting with it for audio emails and it really is nice! The company owner wants me to write about the show and our experiences with Ipadio using it this way. It’s the first time this has been done using their service. Does the audio get transcribed into text in the little box as you record?…If that is the case I can see how that would save you a ton of time! I definitely liked having the words though, but sometimes there weren’t any printed inside the box and other times when there was text in the little box it stopped mid sentence…even scrolling down to the end (I guess if your description went past a certain amount of time). At any rate, I also like the idea of the chat/preview a day early with time to focus on the shopping the next day without missing out on anything you would be saying during the broadcast. I guess I’m not as good a multitasker as my daughter…LOL! WOW…that is very cool technology! The only problem I had was sometimes the words did not appear in the box at all…could I do something to make sure I get the text?